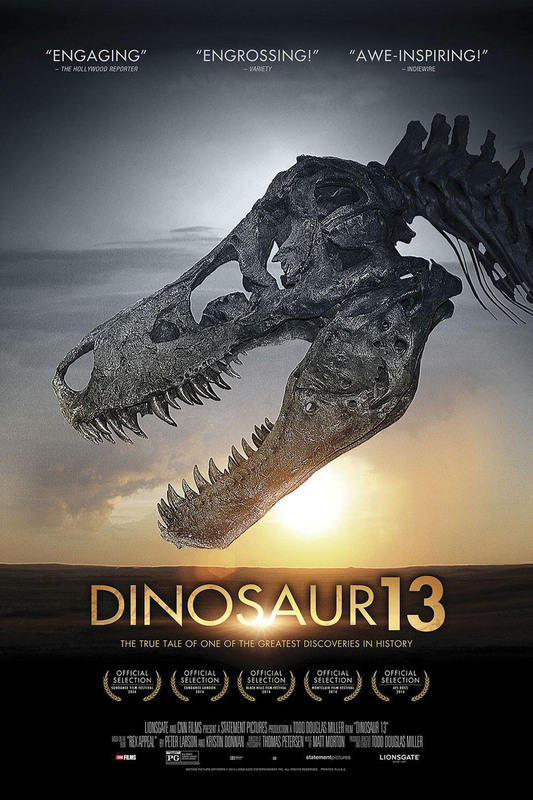 Dinosaur 13 DVD and Blu-ray release date was set for January 6, 2015. When Peter Larson and his team of paleontologists uncovered most monumental dinosaur discovery of our time, they didn't know what to expect. In 1990, they un-earthed the largest, most intact Tyrannosaurus Rex fossil ever. They knew what an amazing accomplishment this was and the fame that it would bring, but weren't prepared for all the trouble. A long and drawn-out battle with the United States government, tribes of Native Americans, infamous museums, and other rival paleontologists awaited them over the course of the following ten years.